Imoving football & Fútbol Carrasco organise, on the Spanish Costa del Sol (Málaga), an international football camp for foreign football players during the second week of July 2019.
extra-sports education and coexistence through the football practice. 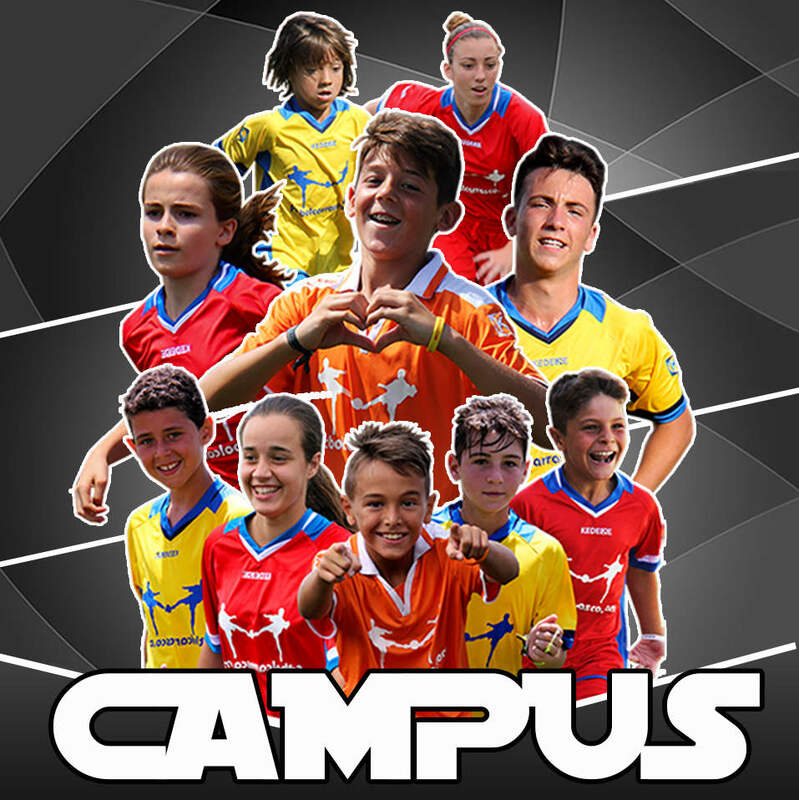 The Elite Football Camp – Summer 2019 by Fútbol Carrasco is ranked as a 5-star event by different Spanish sports organisations. The event brings together more than 500 players of all categories every year. or external, if the player returns home to sleep at the end of the day. External players will be taken and picked up by their parents or guardians. 3 hours of professional training, taught by highly qualified football coaches. Competitions against federated teams in the area. Likewise, goalkeepers will have specific training with a specific coach for their individual improvement in two specific daily sessions. The Elite Football Camp – Summer 2019 also includes leisure time for players, such as football-related competitions and activities outside the Camp facilities (cinema, water park and beach). On their last day, players will enjoy a competition where they will receive trophies and diplomas. Daily lessons of Spanish and football will be organised, where the football player will acquire basic vocabulary. This linguistic training will be reinforced by the day to day of the Camp, through the training sessions with the Spanish coaches. 8th – 14th July 2019. Football players of any level (6 - 18 years old). 7 days of breakfast, lunch and snack for external players, and also 7 nights of accommodation and dinner for internal players. Transport during the stay, including transfer of arrival and departure to the airport. Two complete training kits (2 T-shirts, 2 shorts and two pairs of socks) and a travel kit with T-shirt, shorts and backpack. Tickets for cultural activities (cinema and water park). If a coach wants to attend the football Camp, he or she can do by achieving 10 players to attend the Camp as well. The trainer will benefit from a week of stay in the Camp while the players are trained and supervised by the coaches Carrasco. The Elite Football Camp – Summer 2019 has its own medical team but, to avoid possible incidents, it is important that the player contracts an international insurance in advance. The player must fly to the Málaga airport. The purchase of the flight tickets is under the responsibility of the player. Remember to plan the purchase ahead to achieve good prices. It is important to plan the flights so that the arrival and departure matches the schedules established by the Camp for the transfer from the airport to the facilities. We also organize the stay for family members and guardians who want to stay in Málaga during the duration of the Camp. 7th July 16:00 – 22:00 Arrival at Málaga airport, pick up and transfer to the Camp. 18.00 Opening ceremony of the Elite Football Camp 2019. 8th July Two training sessions. Tactical talk. Night f7 tournaments. 9th July Beach football tournament. Friendly match against clubs in the area. 10th July Two training sessions. Tournaments of fouls and penalties. 11th July Visit to the water park. Night f5 tournament. 12th July Two training sessions. Battle of goalkeepers. 13th July Visit to the cinema. Friendly match against clubs in the area. 14th July 12.00 Closing ceremony of the Elite Football Camp 2019. 14.00 a 21.00 Transfer to the airport and flight back home.